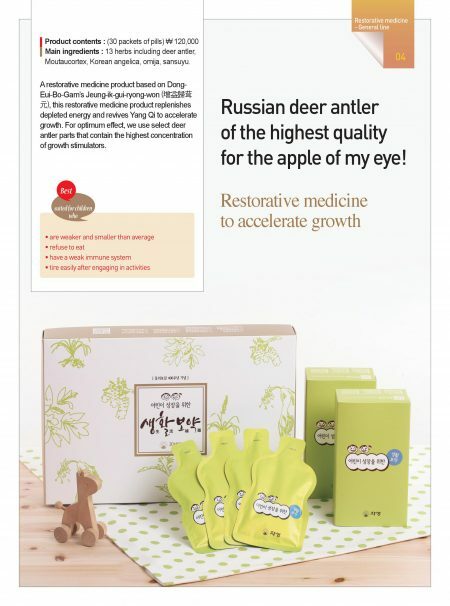 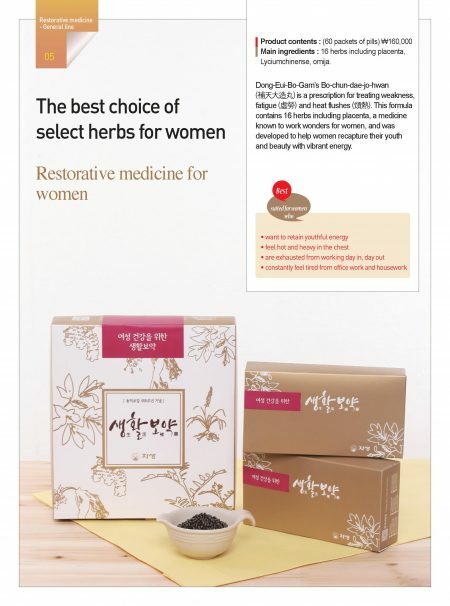 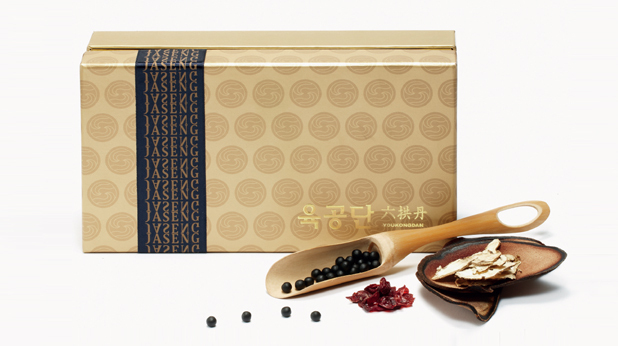 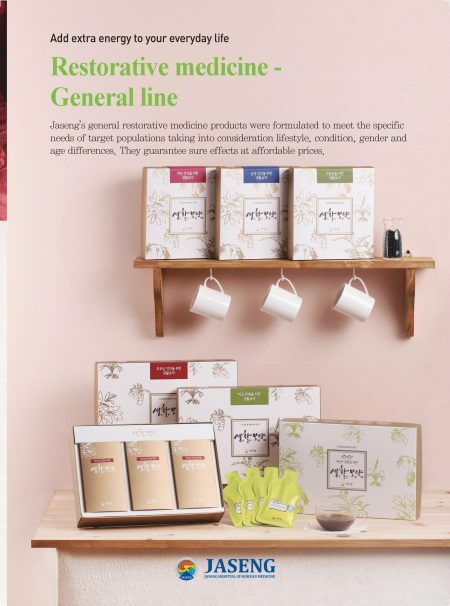 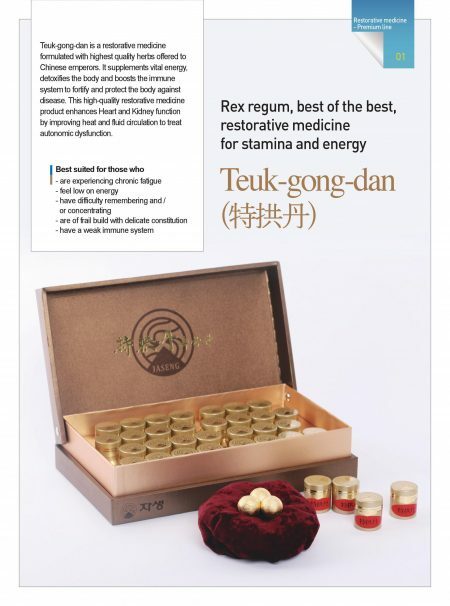 Teuk-gong-dan is a restorative medicine formulated with highest quality herbs offered to Chinese emperors. 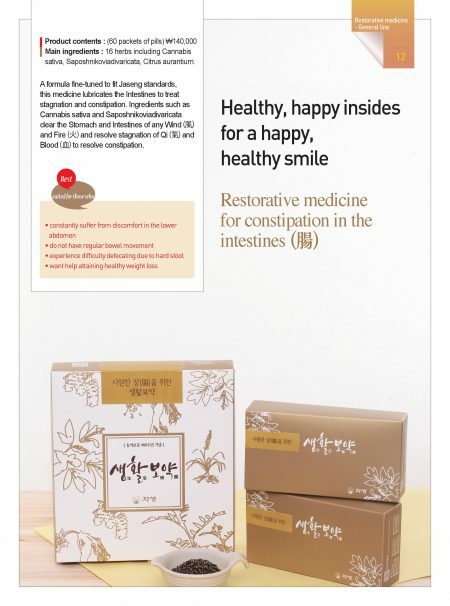 It supplements vital energy, detoxifies the body and boosts the immune system to fortify and protect the body against disease. 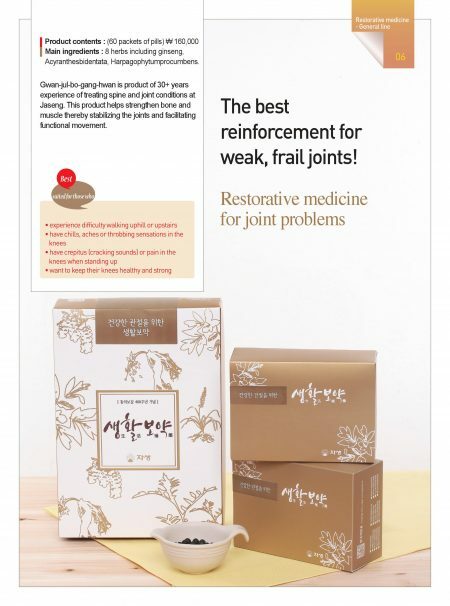 This high-quality restorative medicine product enhances Heart and Kidney function by improving heat and fluid circulation to treat autonomic dysfunction. 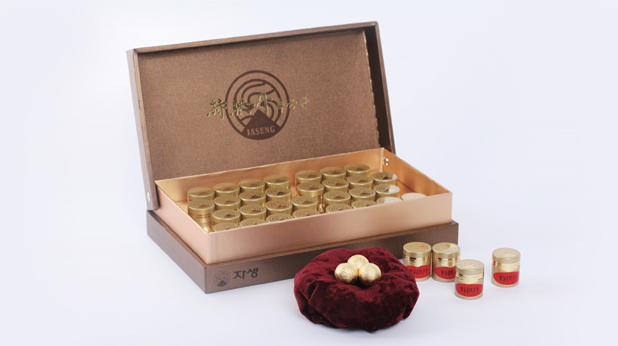 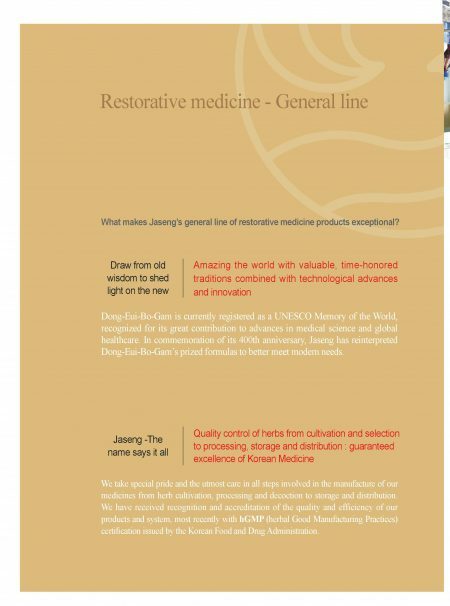 YKD, Jaseng’s main restorative medicine,is a Jaseng classic, boosting the immune system and strengthening Heart, Liver and Kidney function by improving blood circulation and general constitution. 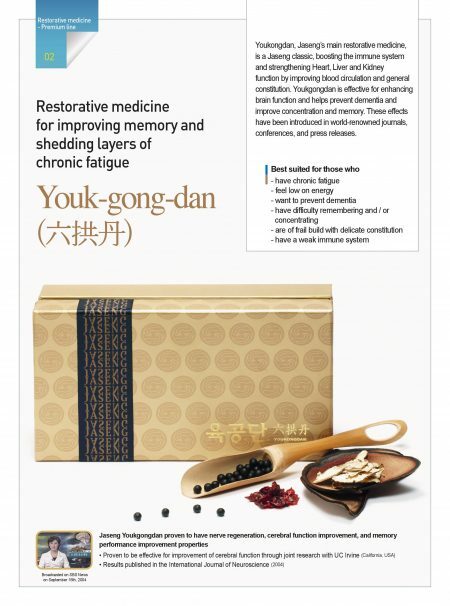 YKD is effective for enhancing brain function and helps prevent dementia and improve concentration and memory. 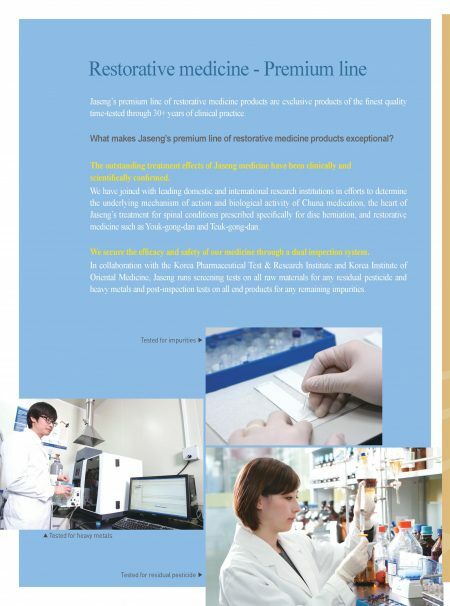 These effects have been introduced in world-renowned journals, conferences, and press releases. 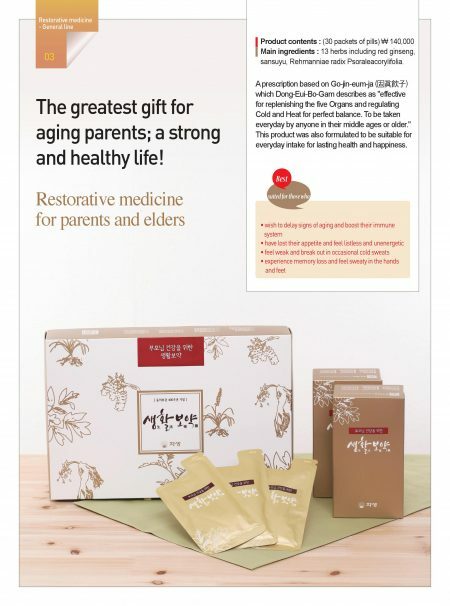 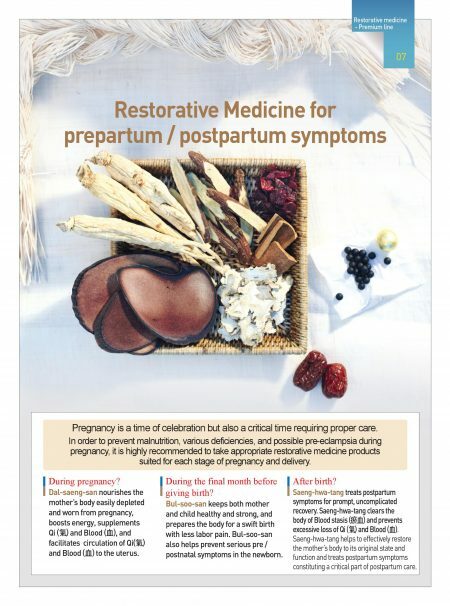 In order for children to reach their full growth potential, the endocrine system (such as growth hormones), Qi (氣), and Blood (血) need to circulate and function properly. 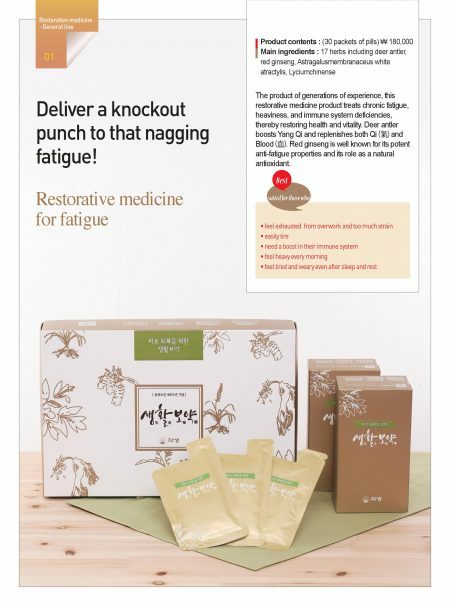 However, children today are exposed to intense academic stress and engage in very little physical activity. 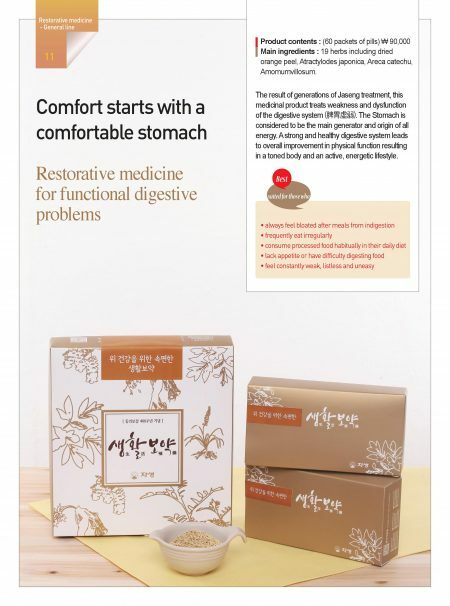 This causes organs to tense; heating the body and thereby causing depletion of essential body fluid. 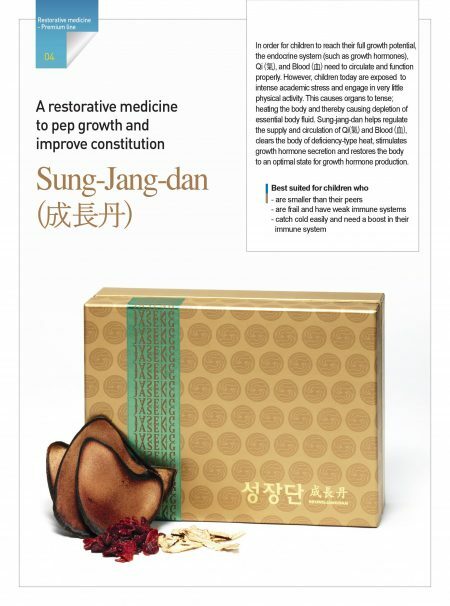 Sung-jang-dan helps regulate the supply and circulation of Qi(氣) and Blood (血), clears the body of deficiency-type heat, stimulates growth hormone secretion and restores the body to an optimal state for growth hormone production. 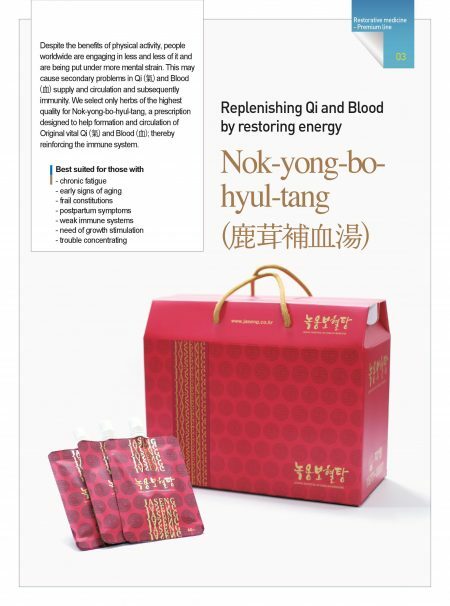 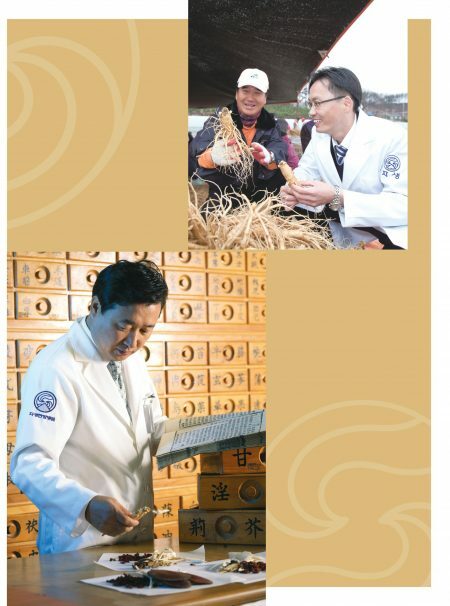 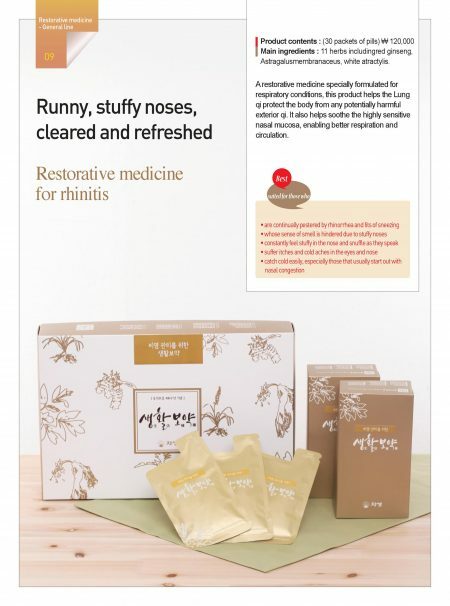 quality for Nok-yong-bo-hyul-tang, a prescription designed to help formation and circulation of Original vital Qi (氣) and Blood (血); thereby reinforcing the immune system. 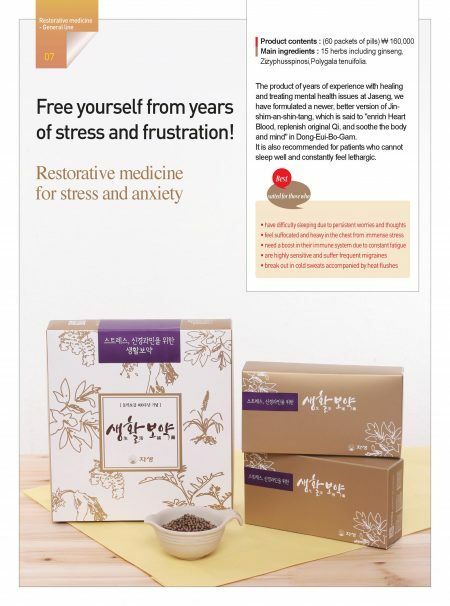 Stress causes the brain to produce neurotransmitters which constrict blood vessels, reducing blood flow and blocking oxygen supply. 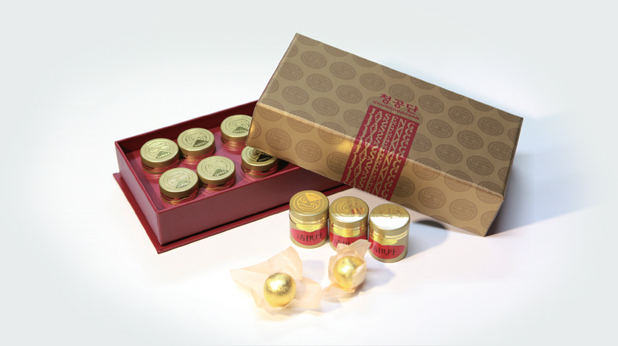 Lack of oxygen has a negative impact on all the organs and places the body under further strain. 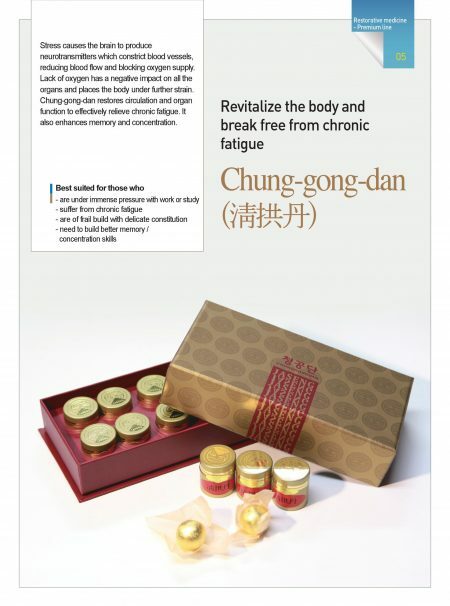 Chung-gong-dan restores circulation and organ function to effectively relieve chronic fatigue. 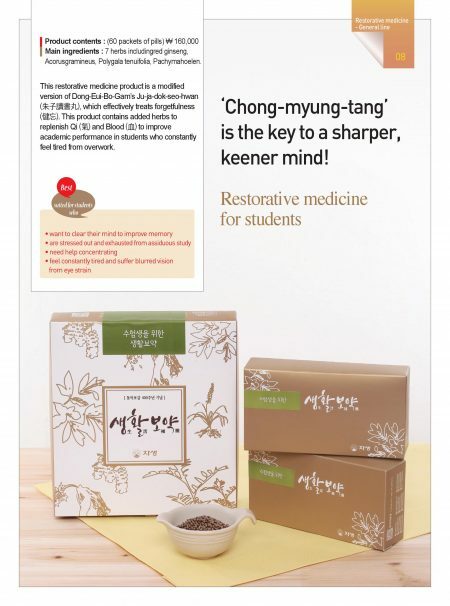 It also enhances memory and concentration. Functional body Fluids steadily dry out with age, resulting in menopause in women and decreased stamina and low energy in men. 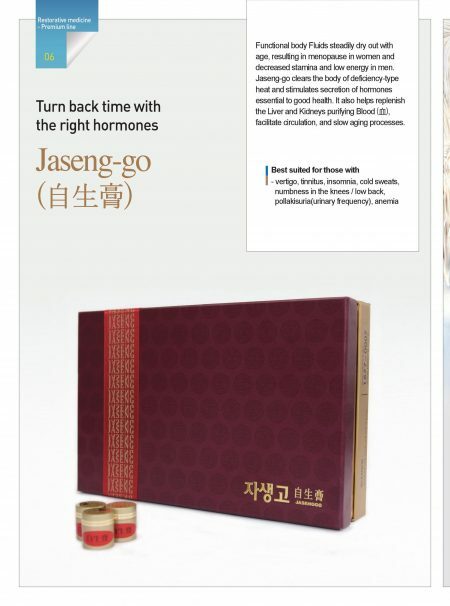 Jaseng-go clears the body of deficiency-type heat and stimulates secretion of hormones essential to good health. 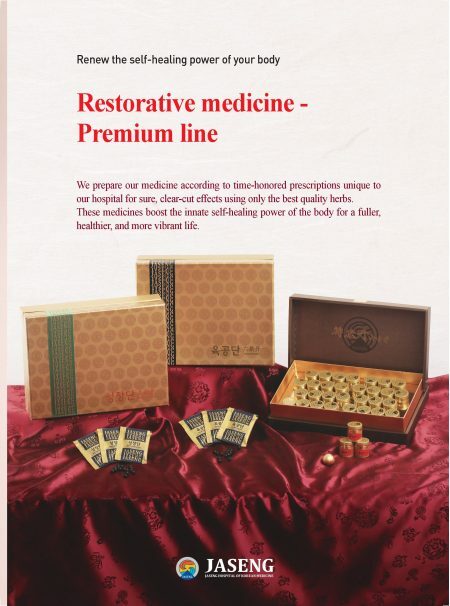 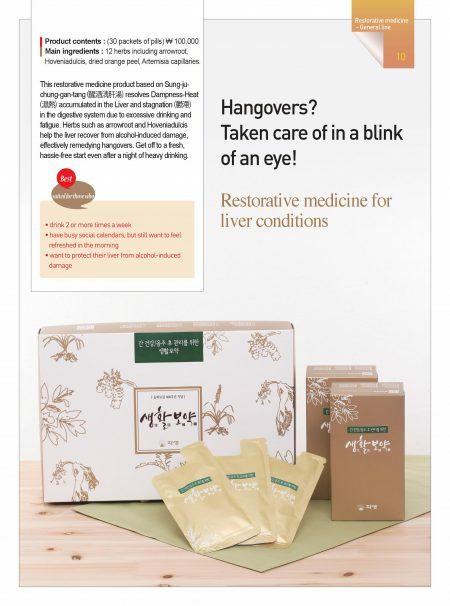 It also helps replenish the Liver and Kidneys purifying Blood (血), facilitate circulation, and slow aging processes.